A Level 2 Reader based on an episode of Llama Llama's animated Netflix television series, perfect for little ones dealing with stage fright! Look out, world--Llama Llama is a TV star! The beloved character, made famous by Anna Dewdney's best-selling picture books, is the star of his own original series, now airing on Netflix. 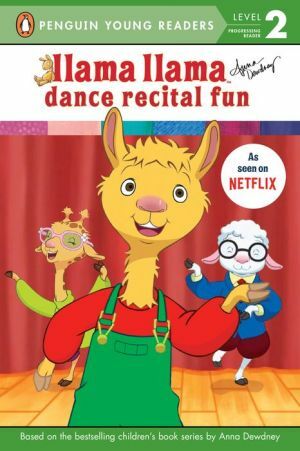 This episode-based Penguin Young Reader tells the story of Llama Llama helping his friend Luna get over her stage fright so that she can dance in a recital. It's the perfect book to read aloud with your little ones to help them deal with their own stage fright, or to help them understand a friend who deals with it!